The 39th round of Takhti Cup International Freestyle Wrestling Tournament began in Iran’s western city of Kermanshah on Thursday. 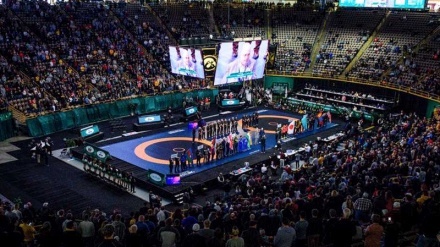 Iran Press/Iran news: Kermanshah’s Imam Khomeini (RA) wrestling hall is hosting International Takhti Wrestling Cup, bringing together the constellation of stars from around the world. The tournament hosts wrestlers from Russia, Armenia, Azerbaijan, Belarus, Georgia, Hungary, Kazakhstan, Turkey, and Iran. A total of 130 wrestlers in 10 weight classes will compete in the tournament, slated for Feb 7-8.